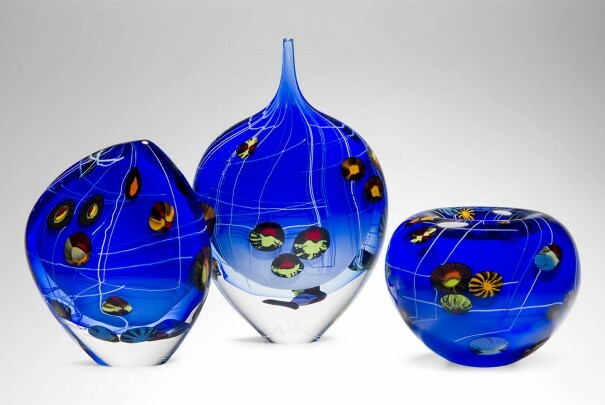 In 2012 we were pleased to launch Arrival of Spring, a new series that was the result of a challenging commission from The Royal Academy to produce a range of artistic glass to mark David Hockney’s important exhibition, ‘The Bigger Picture’. 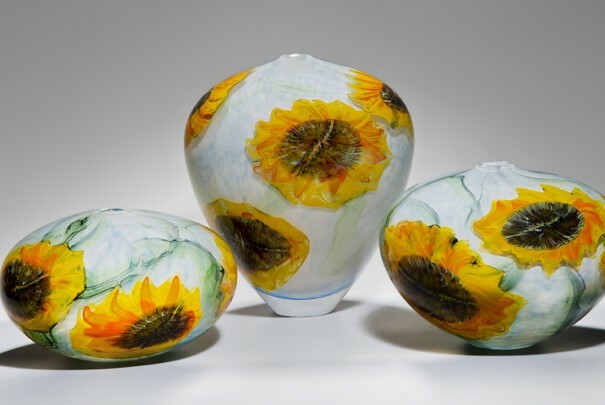 Peter, who has known and admired Hockney since growing up in Bradford, was delighted to have been asked to create a series of works based on some of his latest paintings. 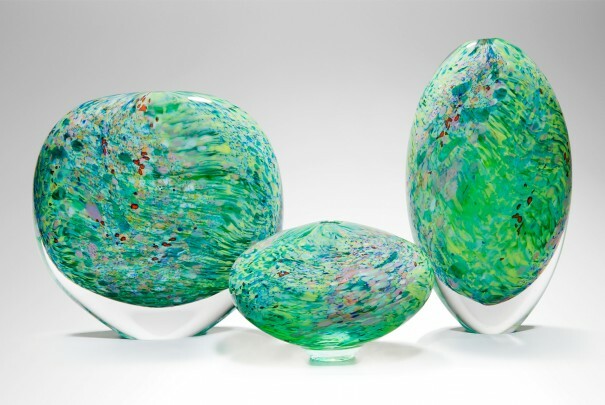 He and his team worked closely with the RA over a number of months in order to create a series that did justice to Hockney’s artistic vision. 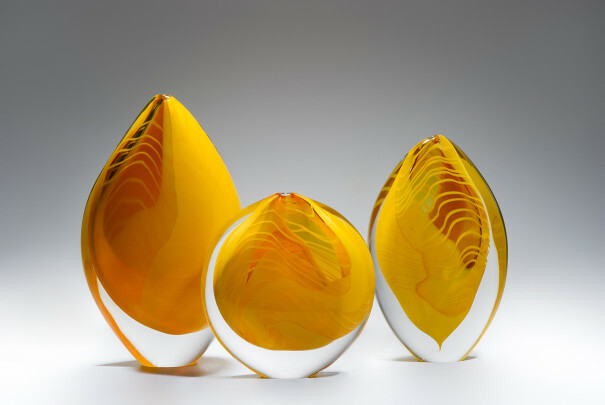 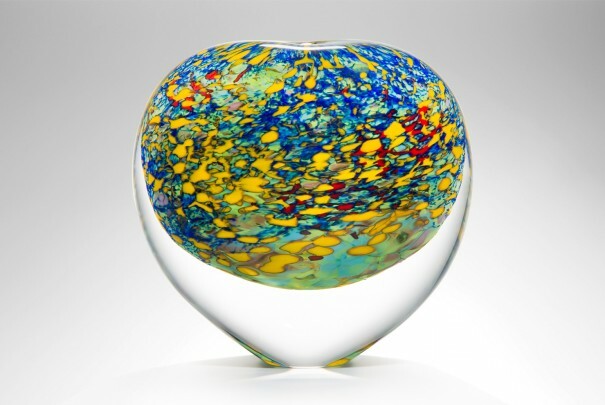 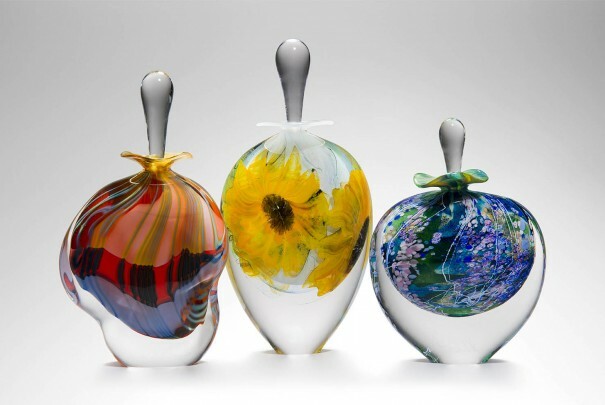 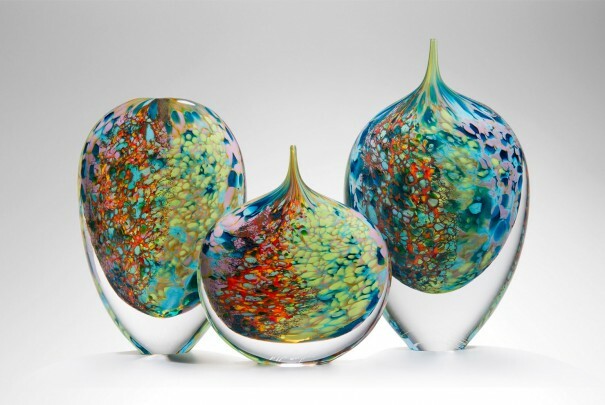 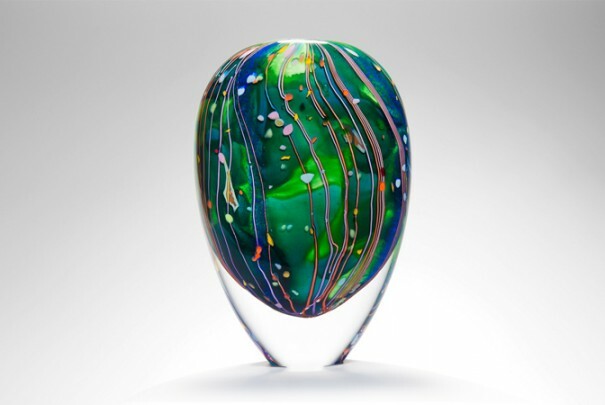 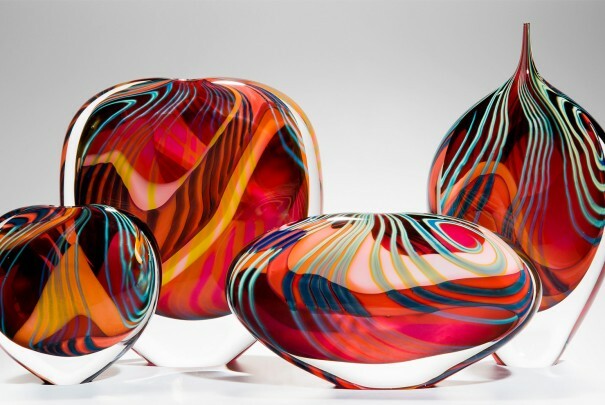 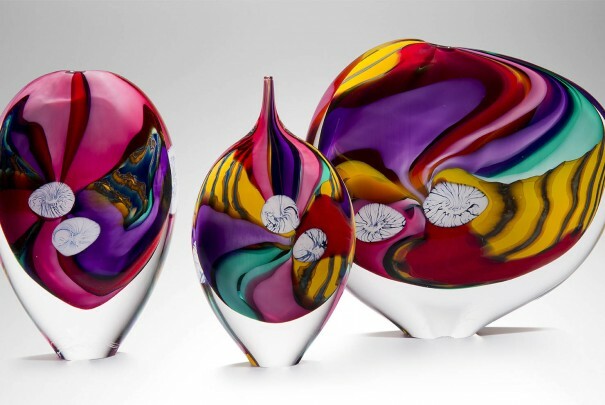 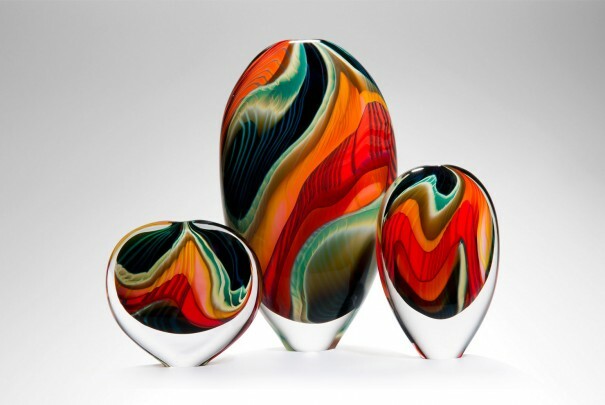 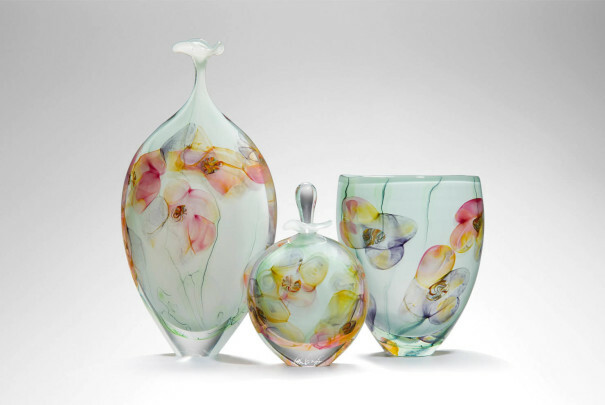 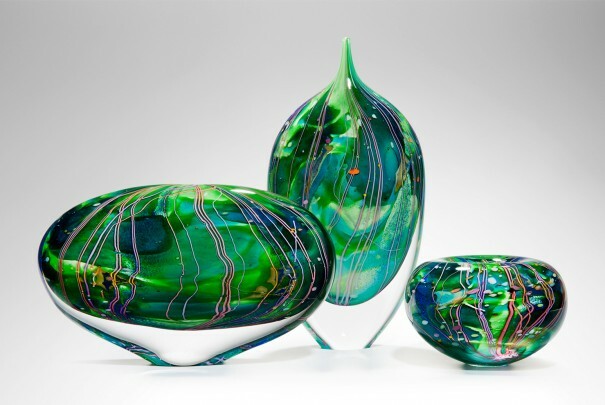 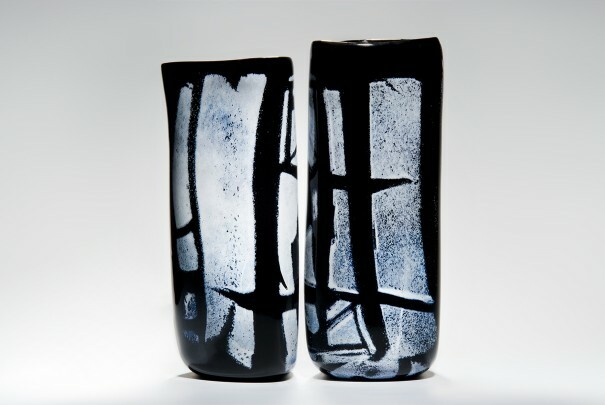 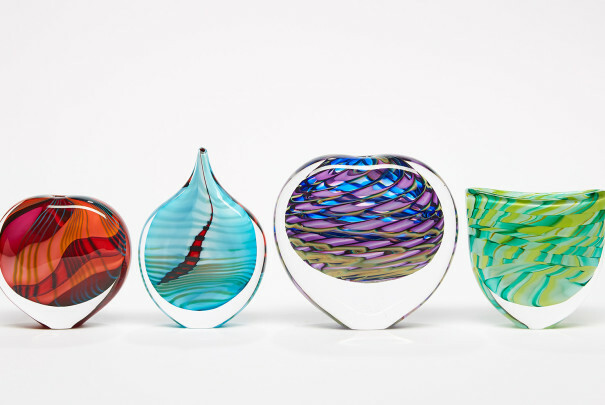 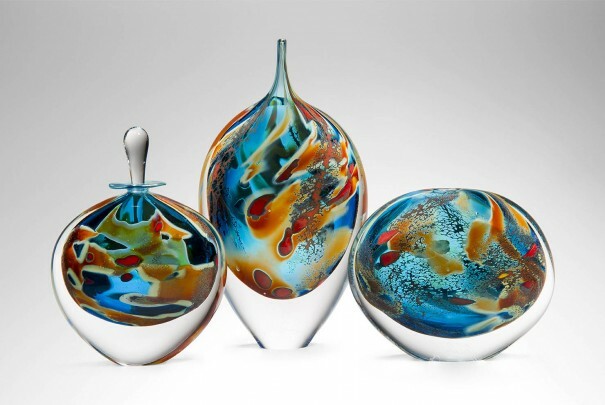 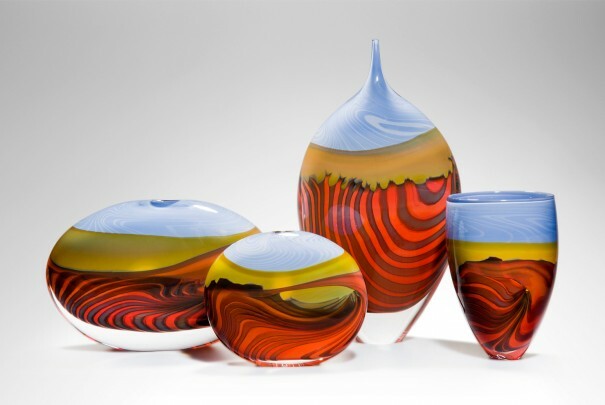 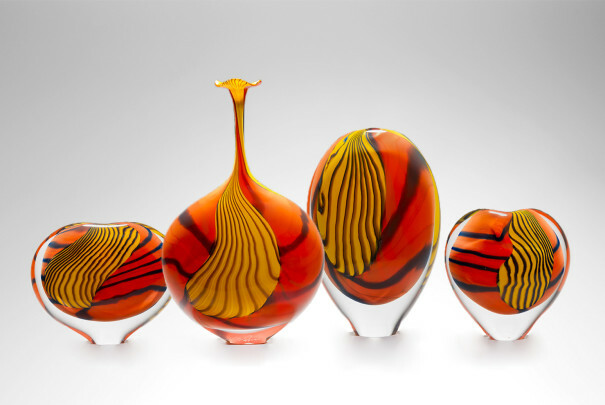 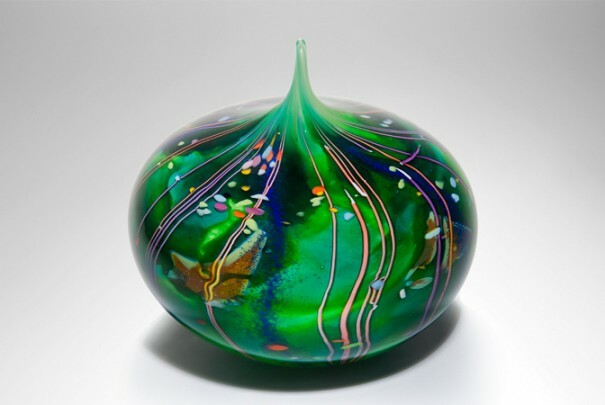 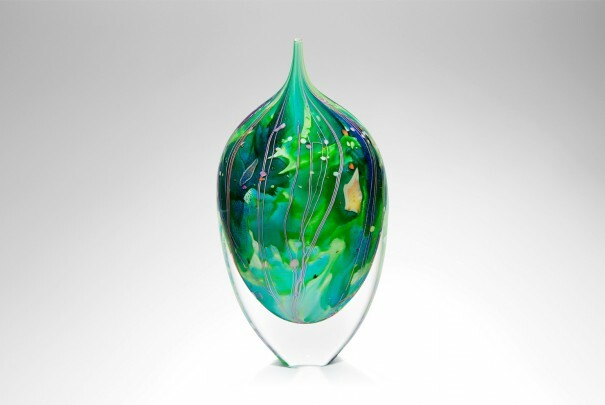 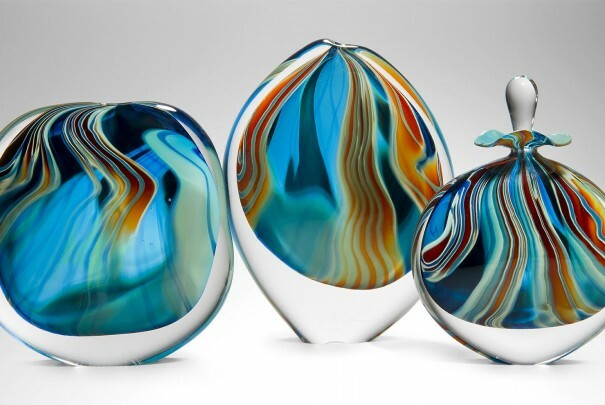 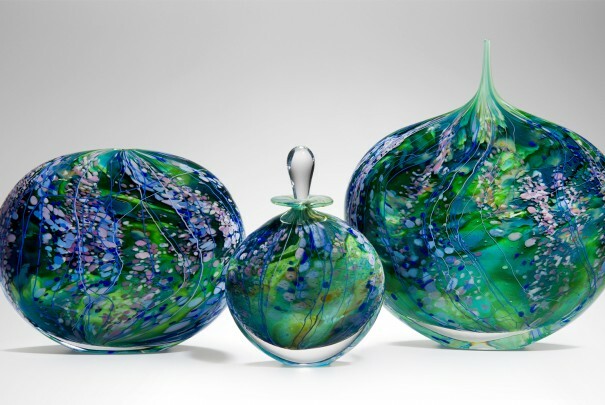 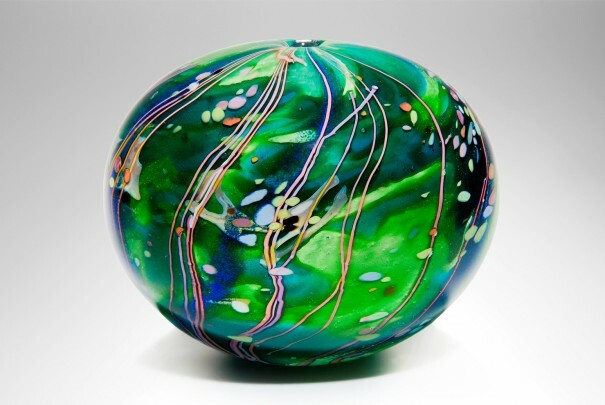 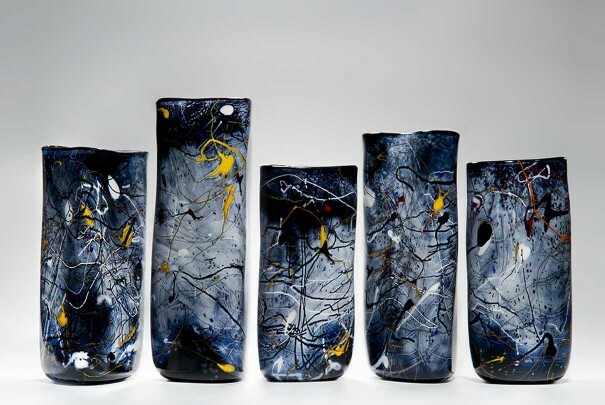 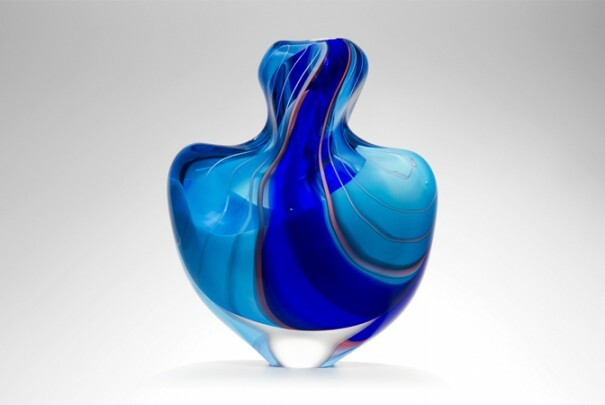 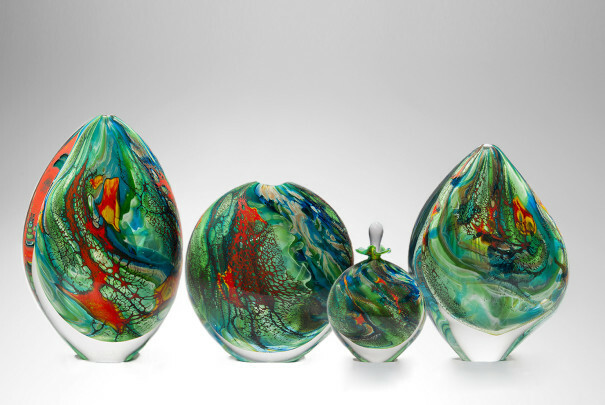 These pieces highlight Layton’s talent for translating rich painterly qualities and bold colours into hot glass. 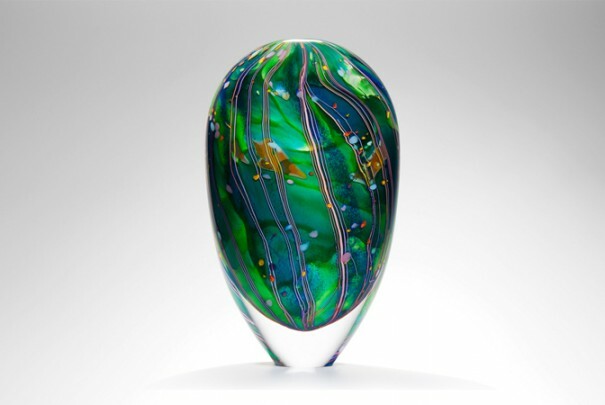 The V-form is a true expression of freedom within the rigours of the glass maker’s art. 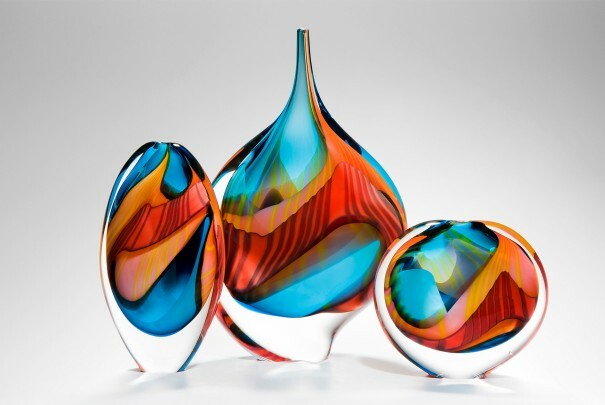 The final characteristics of the shape do not come to fruition until the very last reheat. 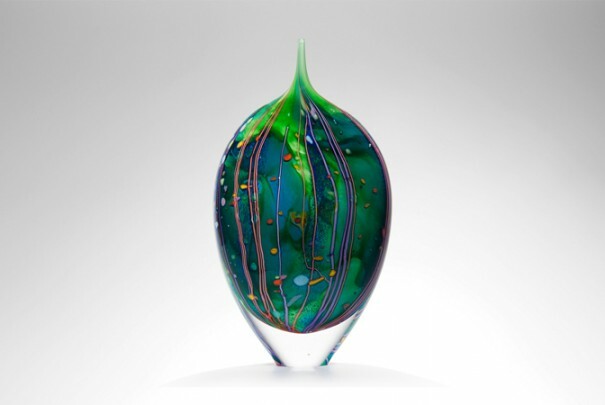 Whilst blazing hot, the piece is spun by the glassblower, allowing all the individual elements of the pattern to help dictate the final form. 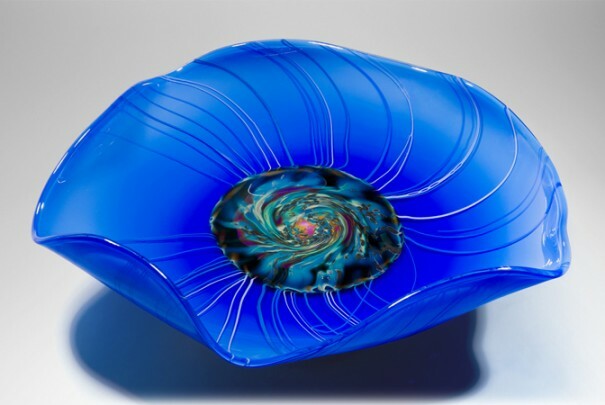 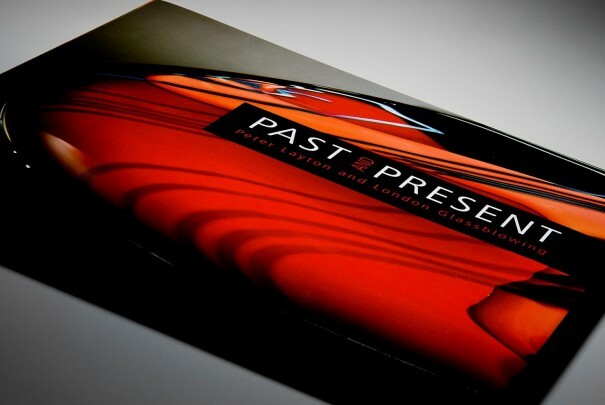 In the case of this stunning piece, I am sure you will agree the technique is a resounding success.